Police believe the body of a fisherman pulled from a harbour in Scotland may be that of a missing Donegal man. 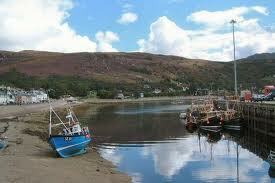 It is believed the body found in the sea near the pier at Ullapool harbor yesterday is that of Anthony Toland. Mr Toland, 34, from Glengad in Inishowen, was missing for a number of hours after last being seen on Christmas day. The alarm was raised that evening and police, coastguard and the RNLI carried out “extensive searches”. His body was recovered from the harbour yesterday after the search resumed with the assistance of Grampian Police dive team. Police said that his family have been informed and investigations into the circumstances are continuing. Police do not suspect foul play but are working on the theory that the late Mr Toland may have slipped and lost his footing while returning to his boat. He was the son of Ann and the late Owen Toland and has five brothers and four sisters. He was well-known and respected in the Glengad area where he played for the local Glengad United football team. A local source “It’s such a tragic time of year for anything like this to happen. But the fact that he was such a young man makes it all the harder. “His family are still trying to take it all in,” said the source. Police are still trying to establish exactly how Mr Toland died.